Qualfing Begins @ 11 a.m. and Brackets at 2 p.m. Certificates for 1st - 8th Trophy for the "Heavy Hitter" of the Day. We are also having a car show in conjuction to the db Drag racing competition. 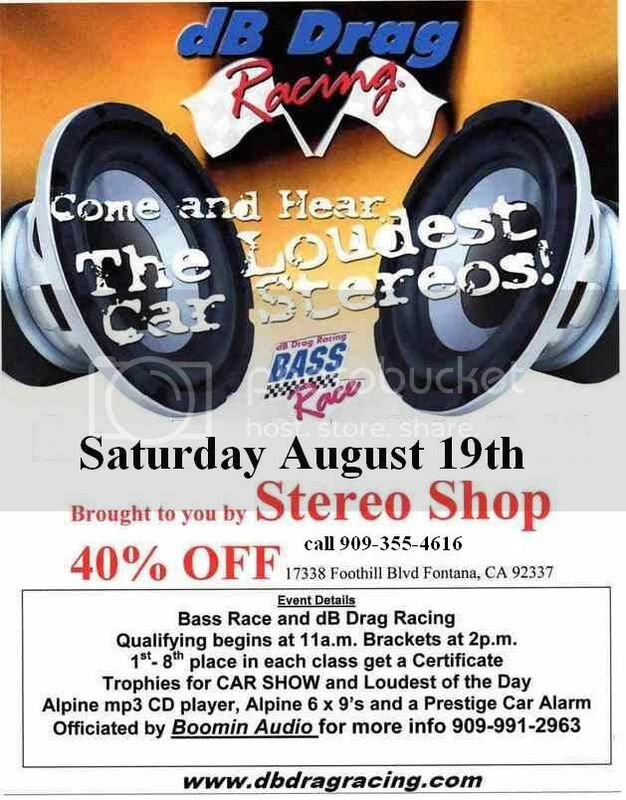 Car show Trophies: Club Participation Best Import Best Domestic We will be having a Boomin Raffle as well So far we have an Apline mp3 cd player, a set of Alpine 6x9s and a car alarm.